Try your hand (literally) at the Rock Paper Scissors Tournament Pub Crawl starting in North Beach. Get lubricated on $3 – $3.50 drink specials, and compete in Rock Paper Scissors tournament qualifying rounds while moving from bar to bar. The tournament champ wins a bar tab. Meet new people while earning points to compete in the finals at the last bar. ‘Like‘ them on Facebook and RSVP you’re attending and get a $1 shot. 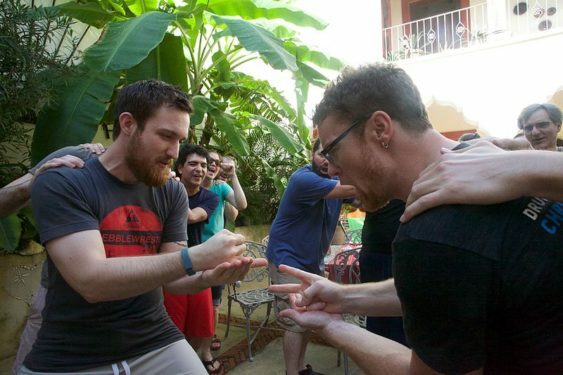 Prepare by reading the official World Rock Paper Scissors Society rules. Please note, the details of this event often change (dates, times, locations and prizes), so always check their Facebook page first.